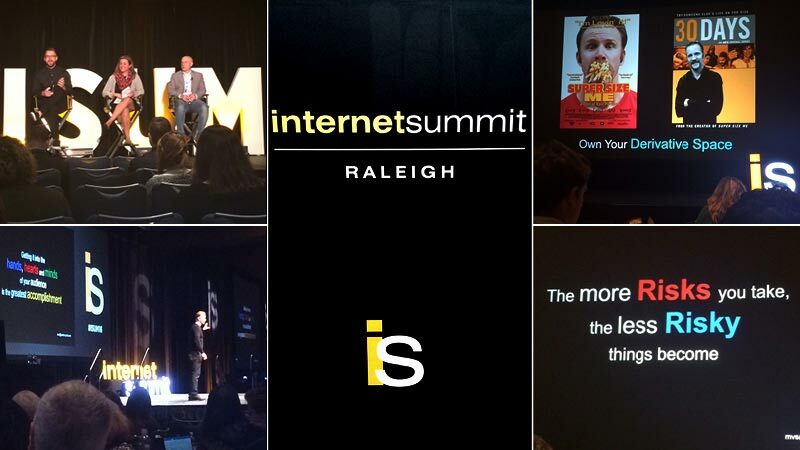 The two-day 2016 Internet Summit—hosted by TechMedia in Raleigh, North Carolina—hails itself as “the definitive digital gathering” so Pace sent a few of its best digital minds. 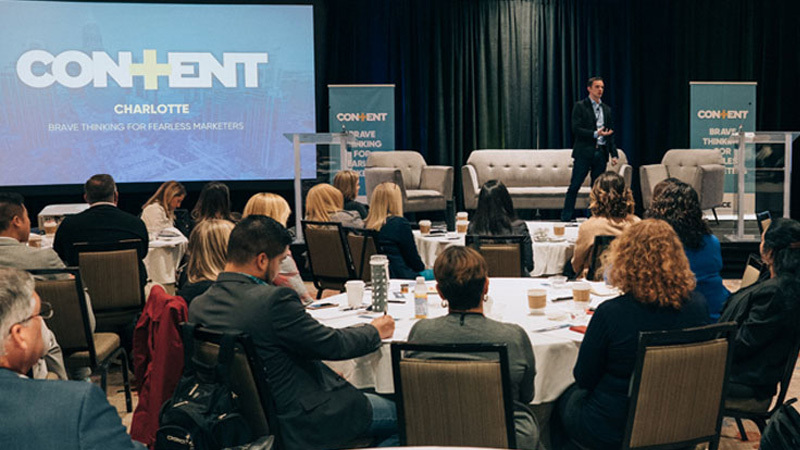 Senior editor Molly McGinn, senior editor Liz Olech and client solutions partner Kelley Mickler brought back some great insights on how we all can improve our content marketing. Hassan Ali is the creative marketing director for Onion Inc. He showed us an example of some native advertising his group did for Scotts lawn care. Grass fertilizer doesn’t exactly scream “hipster” or “millennial,” so Ali said they started with, “What do millenials love?” One answer: Airbnb. The brainstorm ended with a spoof on Airbnb called Lawnbnb, crafted using The Onion’s trademark humor. Think about ideas or questions that you’d actually see yourself posting on Facebook. Ali suggests posting a few vague queries on your own personal page to gauge interest but not give away the idea. Envision how your idea might appear if it was published on a site like BuzzFeed, The Onion or Medium. What would the headline be? 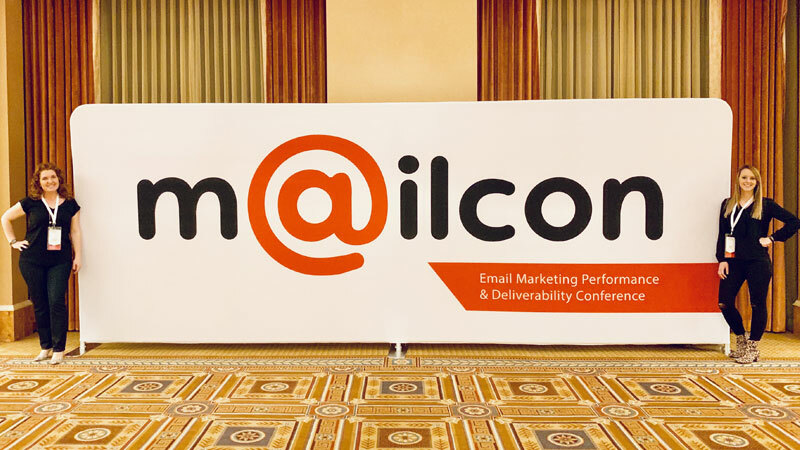 Nearly 75% of all Internet traffic in 2017 will be video, and using the word “video” in an email subject line boosts open rates 19% and click-through rates by 65%. We need to be talking to our clients about video, whether we’re helping produce them or giving ideas for user-generated content campaigns. The videos don’t have to be fancy or expensive, but we all should be doing them. Popular Facebook trends like the Mannequin Challenge are low-hanging fruit for content creators and clients. You just need a smartphone and everybody in the office to chill for a while. Check out ours below. The Pace San Antonio office took on the #MannequinChallenge showing off their wildly creative peanut butter-eating, printer-smashing team. Check it out! Keep up with social media trends; you can take advantage of these quick and easy projects to promote your agency or brand. Brainstorm how many ways you could use Instagram’s Boomerang to animate a product for your client. Use Instagram’s Hyperlapse to show your team setting up for a photo shoot or video. 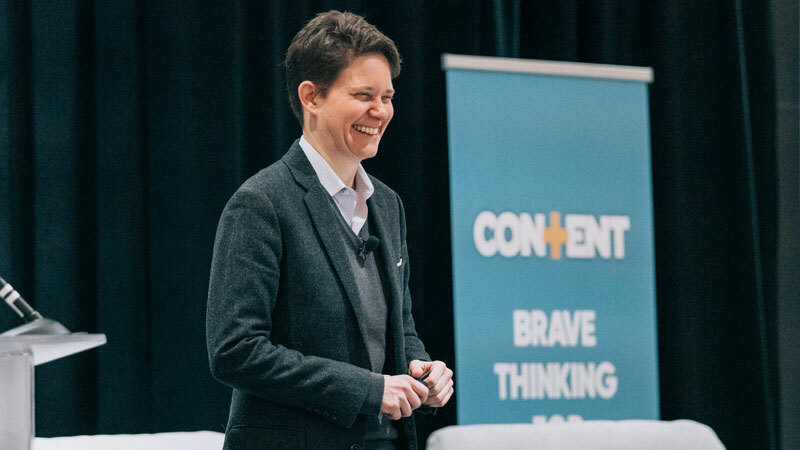 The overall theme of the conference was definitely taking risks ­— from adding humor into your storytelling to being the first to try a new approach. Mike Albanese is a big guy and a big thinker. This comedian/writer believes you need to risk everything to get that next big idea. He shared his comedy-brainstorming secret: the ladder approach. Picture a ladder leaning against a wall. If you started climbing the ladder, you’d start at the bottom and slowly, tentatively climb your way up. Now try something different. Start at the top of that idea ladder with the most ridiculous thing you can think of and back your way down to the ground. Chances are you’ll end up somewhere completely new. This top-to-bottom approach to incorporating humor into your storytelling allows for big ideas to break through and creative risks to be taken. Albanese showed Kmart’s “Ship My Pants” spot, which was so equally loved and hated that the spot was pulled from the air. Another commercial, Brookside’s #talkaboutdelicious, has a spokesperson for the chocolatier reading and responding to snarky tweets. Both were risky and effective. On the last day of the summit, Morgan Spurlock, director of the Academy Award-nominated “Super Size Me” and host of CNN’s “Morgan Spurlock Inside Man” also encouraged risk-taking in our own storytelling and execution as a way to break through the content clutter and stand out among the competition. “The more risks you take, the less risky things become,” he said. In marketing no one wants to be first, everyone wants to be first to be second, but no one wants to be last. But Spurlock said we all can elevate our storytelling if we’re willing to take a little risk. Focus on your riskiest idea. Where does it end up when you take that idea down from the top of the ladder? Review the content you’ve been creating. What could be different? What could be bolder? What could make it stand out?